Acting Director General of the Securities and Exchange Commission, SEC, Ms. Mary Uduk, on Monday urged stakeholders in the Nigerian capital market join in the task of attracting and retaining local and foreign investments needed to stimulate economic growth and develope critical infrastructure necessary for the country’s development. Speaking at the formal launch of the book Riding the Eagle authored by Mrs Toyin Sanni in Lagos, Uduk said in making decision, investors want to be sure of the rational basis of their investment decisions before transferring resources, which is why quality information is necessary. Continuing, she said “providing information to investors will enhance transparency in the Nigerian markets and improve our global reputation in the investment community. Riding the Eagle meets this imperative by providing comprehensive and up-to-date information on investing in the Nigerian markets via a roadmap and guide for foreign, domestic, institutional and individual investors alike. “It also examines the challenges faced by the Nigerian economy across sectors, past and recent success stories and solutions to some of the nation’s economic and development challenges. She said the book delves into details on the key sectors that drive the performance of the Nigerian economy and what investment opportunities are available for interested investors and motivated entrepreneurs. The SEC DG therefore commended the author, Mrs. Toyin Sanni, for putting at the disposal of the industry, the value of over one decade in the money market and another two decades in the capital market. In her remarks, Vice Chairman FAMFA Oil Limited, Mrs Folorunsho Alakija described the book as a most appropriate and timely information guide for all stakeholders in the investment sector in africa’s most populous and resource rich country (Nigeria). Riding the Eagle is a guide for local and international investors seeking to exploit the unique opportunities in the Nigerian Economy’ she added. 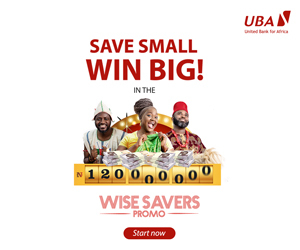 The event was also attended by Mrs Patience Oniha, Director-General of the Debt Management Office (DMO); and Oscar Onyema, chief executive of the Nigerian Stock Exchange (NSE). 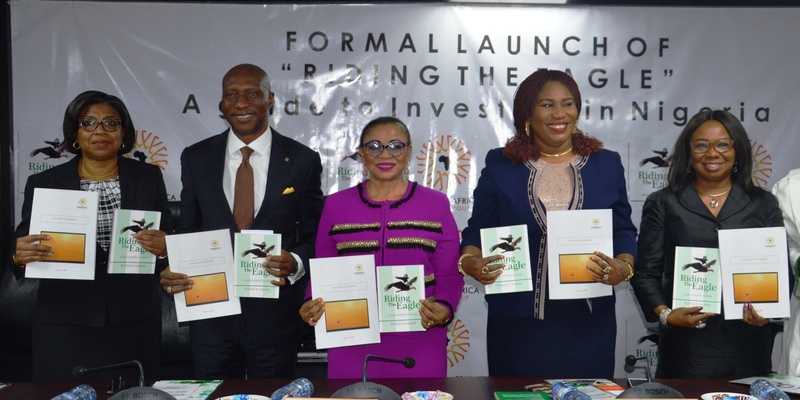 Photo Caption: From left, Mrs. Patience Oniha, Director General Debt Management Office (DMO); Oscar Onyema, Chief Executive Officer, The Nigerian Stock Exchange (NSE); Mrs. Folorunsho Alakija, Executive Vice Chairman Famfa Oil Limited; Mrs. Toyin Sanni, Author of the Book, Riding the Eagle and Ms. Mary Uduk, Acting Director General, Securities and Exchange Commission (SEC) during the formal launch of the book Riding The Eagle, A Guide to Investing In Nigeria at the Exchange in Lagos, on Monday, February 4, 2019.